That the clarinet trio is alive and well today as a genre is shown by the many very varied msuical works for clarinet, cello and piano written in recent years. 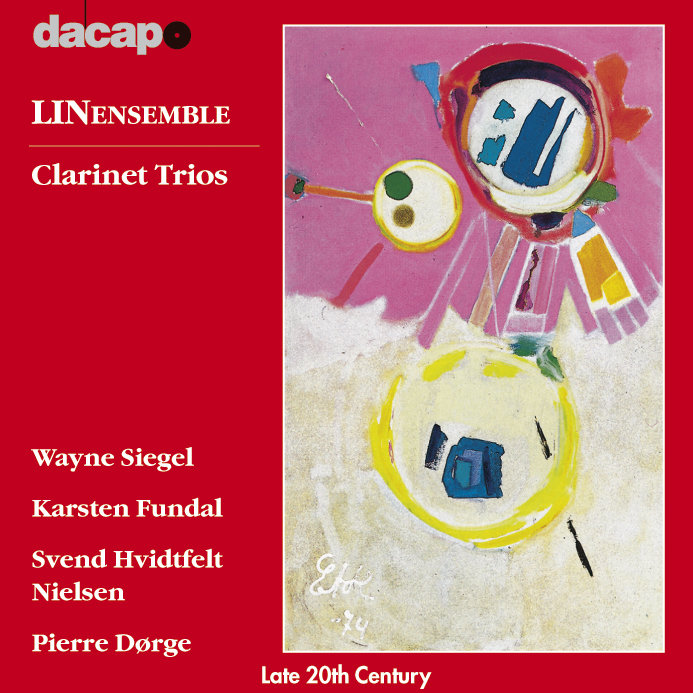 In Denmark in particular many new compositions have been written for clarinet trio thanks to LINensemble, who has persistently commissioned and performed new works. The pieces recorded here are a small selection of what this instrument combination, with its rich potential, has inspired Danish composers to write. Sound Patterns (1987) 11:03 12,80 kr. The Ways of Lightness and Falling (1991-92) 11:43 12,80 kr. Fable (1990-91) 12:50 12,80 kr. Image I 3:03 6,40 kr. Image II 7:01 9,60 kr. Image III 4:20 6,40 kr.